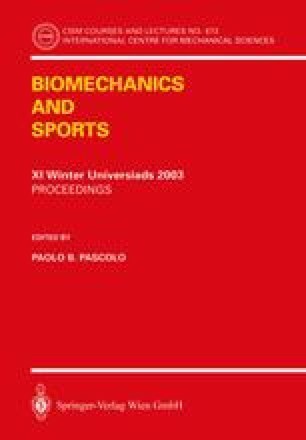 This contribution deals with the development of mechanical model of the biceps brachii muscle. In order to account for the finite speed of propagation of the activation pulses, the model has been conceived as an assembly of contiguous discrete elements, each one excited independently and defined accordingly to the Hill’s muscular model and the Huxley’s sarcomer assumptions. The proposed model has been verified with reference to experimental data gathered during in vivo laboratory experiments.